The latest salvo by the Governor of Karnataka recommending President’s rule in Karnataka has left the state BJP speechless. Although they have resolved to battle the issue out till the very end, they continue to say that they have been taken aback and the action of the governor is unbecoming. Law Minister Suresh Kumar has this to say: The national leadership of our party will meet sometime between 10 am and 11 am to discuss this issue. Our legislature party leadership too will meet to discuss the same issue and the outcome of both these meetings would lay down the ground work for our next course of action. The actions of the governor has only made a mockery of the constitution of India. This battle is not just a battle of the BJP, but of all parties which beleive in democracy. Such actions will affect the course of democracy and I feel not only the BJP, but even the Congress and the JD(S) should question such actions. The letter by the governor comes after we showed our support. What is the reason for the governor to issue such a letter. Is there a constitutional breakdown in the state or is the government in minority. I dont understand why he had to issue such a recommendation. The entire nation knows that the BJP in Karnataka enjoys a majority. It is really sad that such a recommendation had to be issued especially by a man who has been such a long serving law minister in the union government. I would not be in a position to comment on the immediate next course of action, but we would do everything that it takes to fight this issue. I personally feel that the union government will not act on the recommendation. They will tread with caution since if they act the repurcussions will be bad and it will set a horrible precedent. We will wait for the national leadership to meet. There is no decision on whether to parade our MLAs before the President of India. We will do everything that it takes and could even approach the Supreme Court if the recommendation of the governor is acted upon. There are many judgments to support our cause. The S R Bommai judgment is one of them. State BJP president, K S Eshwarappa on the other hand says that there is no constitutional breakdown in the state to make such a recommendation. It is nothing but personal vendetta and we will tide over the crisis without a doubt. I call on both the Congress and the JD(S) also to fight against the arbitrary action of the governor as such actions leads to a precedent which will affect every political party in the future. The Karnataka BJP which finds itself in fresh trouble following the report recommending President’s rule in the state has convened an emergency legislature party meeting later today to discuss the latest developments. The meeting which will be headed by Chief Minister of Karnataka B S Yeddyurappa will discuss the latest recommendation by the governor. The state BJP has however decided to let the national leadership take up the issue with the President of India. Governor of Karnataka, H R Bharadwaj had cited a constitutional break down in the state and recommended President’s rule. The recommendation comes in the wake of the Supreme Court of India reversing the order of the Speaker of the Karnataka Legislative Assembly which had disqualified 11 rebel BJP MLAs. While on Sunday all the 11 rebel MLAs had expressed support to the Yeddyurappa government, the governor on the hand went ahead and recommended President’s rule. Legal oinion over the issue seems to be divided with some experts terming the governor’s actions to be in accordance with the law. They say that the Yeddyurappa government had been reduced to a minority following the Supreme Court verdict and if one looks at the manner in which the government has been functioning in the past couple of months, then it is an evident constitutional breakdown in Karnataka. The other argument however is that such a recommendation could not have been sent merely on the basis of a judicial order. The governor ought to have given the CM a chance to test the majority on the floor of the house and only then come to some conclusion. The Karnataka BJP says that all eyes would be on New Delhi and their national leadership would be handling this issue. The CM has already shot off a letter to the President of India terming the governor’s actions as arbitrary and opposed to the law. The legislature party meeting which will be held in a while will be followed by a Cabinet meeting. The BJP had decided to induct some of the rebel MLAs into the Cabinet, but at the moment that process is likely to get delayed due to the fresh crisis. 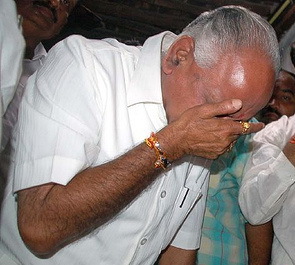 All the troubles in the Bharatiya Janata Party in Karnataka have come to an end for now, will all 11 rebel MLAs deciding to return to Bangalore and be part of the B S Yeddyurappa government. After nearly two days of negotiations with the rebels in New Delhi, it was decided that the time had come to make up for lost time and provide stable governance for the next two years in Karnataka. The 11 rebels had moved the Supreme Court challenging their disqualification and on Friday the court had reversed the order of disqualification passed by the speaker. The rebels today said that they had no demands and would join Yeddyurappa and provide a stable government for the next two years. OUr main priority will be to make up for the neglect of our constituencies due all these issues and we will strive hard to work for it, they also said. There have been mistakes committed in the past by both us and also the Cheif Minister. The issues are all now resolved and each one is ready to amend those flaws and work for the people of Karnataka. Some confusion however prevails over the allocation of portfolios for these rebels. During the negotiations it was decided that they would agree to whatever the high command had to say. The high command will in the coming days decide on who should get a ministerial berth and who should be made chairpersons of boards and corporations. All the rebels who were in New Delhi are now on their way to Bangalore. They are expected to meet with the CM and assure him that there would be trouble free governance from now onwards. Balchandra Jharkiholli who is leading the BJP rebels in Karnataka said that they would announce their decision on whether to join B S yeddyurappa or not tomorrow. Following hours of negotiations with Yeddyurappas emissaries, the rebel leader said the picture would be clear tomorrow. However the indications of a truce is clear since none of the rebels have demanded a change in leadership. The opposition in Karnataka too is subdued barring one comment from the congress stating that the BJP has lost majority following yesterdays Supreme Court verdict. While the rebels have not announced anything as yet sources informed us about what the deal was between Yeddyurappa and the 11 rebels. Minister berths for three, liberal funding for their constituency and heads of baords and corporations for the rest. The BJP in Karnataka needs the support of just three of the rebels to reach the magic mark of 113 to stay on in power. Earlier today: The stand off between Chief Minister B S yedyurappa and the 11 rebel BJP MLAs continued with the former sending an emissary to new delhi to pacify the rebels. The 11 rebel mlas who got relief from the supreme court on Friday have demanded a change in the leadership, but have assured to stay loyal to the party. Renukacharya senior BJP leader who hinmself was a rebel a couple of months back has been sent to Delhi. He is expected to lure the rebels with ministerial berths in a bid to convince them. Yeddyurappa needs just three of the rebels to secure his government which is a minority today following yesterdays order. Currently he has 110 MLAs including an independent and with three more rebels he can attain the magic mark in the Karnataka Legislative Assembly. The rebels are expected to give in to the demands since sources say that only 6 of them appear to be adamant while the rest of them continue to sit on the fence. The effects of the Congress breaking in Andhra Pradesh have already begun t show with several members of that party coming out in the open before the media and congratulating Jagan Mohan Reddy who had an outstanding win in the Kadapa by polls. Political observers in Andhra Pradesh say that in the days to come many within the Congress will get more vocal about their support to Jagan. The junior YSR may have spared the Congress for now, but the party will continue to function in the state on tenter hooks. Ever since the news of Jagan’s thumping win started to trickle out several Congress leaders from AP had come out in the open and congratulated him. When asked about their open shower of praise to the biggest rival of the Congress, they said that not much should be read into it. He has won an election and has become an MP and these congratulatory messages are just cursory messages. Although the Congress appears to be calm, insiders say that the party is doing everything to retain its MLAs. Many of these MLAs had made it clear that they would cross over depending the margin and any win by a margin of 3 lakh was good enough for them. However Jagan himself have asked them to wait a couple of months. His associates say that he is now beaming with confidence. His biggest rival is the Congress and he would like to toy with their feelings and hence over the next fews months he will pull out more tricks from his bag to weaken the Congress. At the moment Jagan speaks on record stating that he is not interested in breaking the Congress. He says that it is evident that the opposition and the ruling Congress in the state have joined hands and in the absence of an opposition party he would like to don that role. Jagan also makes it clear that there appears to be no chance to topple any government now and he is planning to take on the Congress step by step. The Congress has remained mum over this victory of Jagan, but the TDP has been quick to react by saying that Jagan had cheated the people by giving a different impression to the election. Senior TDP leader, D Veerabhadra Rao when contacted said that this was an election fought more between Kadapa and New Delhi and Jagan too had adopted the same slogan. People believed that it was a national election and they have not bothered to look into the corrupt money that has been used in this election by Jagan. I am sure that the situation would be different when he faces an election in all parts of the state and just the result of one Kadapa is not good enough to judge the situation in the state. Going by the manner in which the events are unfolding in Andhra Pradesh, it appears that both the Congress and Jagan and playing their cards carefully. No one is giving away too much and each party is giving a very strong image of themselves. 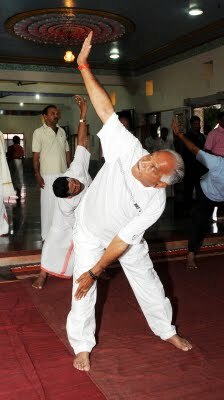 Yeddy, steady, will he go? As B S Yeddyurappa gears up to fight yet another battle to save his seat, the 16 rebel MLAs who were given relief by the Supreme Court of India today said that their fight is against the individual and not against the Bharatiya Janata Party. Karnataka state politics which had remained quiet for quite sometime now has erupted yet again with leaders from various groups holed up in separate meetings. The Chief Minister Yeddyurappa was however portrayed a calm picture and said that he welcomed this result since it only boosted the party. Out of the 16 rebel MLAs 11 are from the BJP and this result means that they come back into the party. The CM said that with these 11 MLAs back in the party, the strength of the BJP has gone to 121 which includes the Speaker of the assembly and also one independent candidate. The magic number required in the Karnataka assembly is 113. The 11 rebel MLAs who were disqualified from the party by the Speaker had moved the Supreme Court of India against the order of the High Court which had upheld their disqualification. These MLAs who are now technically back in the BJP are still at New Delhi and also held a meeting. They continue to remain adamant that Yeddyurappa should be changed. We have nothing against the party, our grouse is only against the individual, they say. The CM who a while ago said that he welcomed the judgment is however locked up at his Dollar’s Colony private residence and is meeting with various party leaders from the state. He is discussing the verdict and how to face the problem in case the Governor or the Opposition insists on a floor test. With him at the meeting are State BJP president K S Eshwarappa, Law Minister Sunil Kumar among others. The composition of this meeting is interesting since it comprises Eshwarappa who has been openly gunning for the head of the Chief Minister. Already there are various allegations against Eshwarappa stating that he has been trying to break the party and become the CM with the help of the 11 rebels. Yeddyurappa during the meeting has made it clear that there cannot be any leadership change, but better portfolios can be given to them. The rebels are however in no mood to listen and continue to demand for a change in the leadership. Regarding the role to be played by the 5 independent MLAs who were also disqualified, the BJP says that they cannot comment on this and they are independent to take any decision. However the BJP also adds that it would issue a whip to all its MLAs in case they are asked to prove their majority on the floor of the house by either the Governor or the opposition. Author Vicky NanjappaPosted on May 13, 2011 Categories Karnataka Politics, PoliticsTags B S Yeddyurappa, Karnataka, Karnataka Speaker, rebel MLAs, Supreme Court, Vicky NanjappaLeave a comment on Yeddy, steady, will he go? With the Supreme Court reversing the action of the Karnataka Speaker who disqualified 16 MLAs of which 11 were from Bharatiya Janata Party, the B S Yeddyurappa government finds itself in fresh trouble. With the SC order, the 11 members of the BJP will have to return to the party. Their future course of action is unknown. Also it is unlikely that the five independents, who had initially extended their support to the BJP, will continue to do so. If the 11 BJP MLAs, who were disqualified, decide to stick with the BJP then the party would have 117 members, which is four more than the majority. What also helps the Yeddyurappa government is the fact that the BJP have won all the three bypoll seats, whose results were declared on Friday, wresting two from the Congress and one from the Janata Dal-Secular. The issue which faces Yeddyurappa now is a leadership change being masterminded by state BJP president L S Ishwarappa. The BJP state party has decided not to react to the apex court’s decision and will wait for the governor to direct it to prove its majority in the house. In that case, it can issue a whip asking the 11 ‘disqualified’ MLAs to vote for the government. Author Vicky NanjappaPosted on May 13, 2011 May 13, 2011 Categories Karnataka Politics, PoliticsTags B S Yeddyurappa, Disqualification of MLAs, Karnataka, Supreme Court, Vicky NanjappaLeave a comment on Trouble ahead for Yeddi? 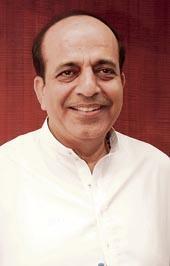 Our motto will be change and not revenge, says senior Trinamool Congress leader, Dinesh Trivedi. Answering a few questions after their remarkable win at West Bengal, Trivedi says that at the moment it is not clear what the leadership pattern in Bengal would be, but he added that all that would become clear in the days to come. The results are just out and we would be meeting soon and deciding the next course of action. I cannot comment who would be the Chief Minister and who would don the central role at the centre as it is too early to tell. Everything would depend on Mamta Banerjee. I would term this as a victory of the people of West Bengal. It is a victory of Democracy, Dignity has been restored and it is towards development of the state. The people have voted against the politics of the CPM and also its sponsors who have been depriving the people of the state of their basic needs. The five years ahead will be a golden era in Bengal. Our state has a great potential. We are talented in the health and education sector and there is great potential that needs to be tapped over here. All this will be restored in the years to come, he also added. The biggest change would however be the peoples’s right to vote. The elections were always rigged in Bengal and in the years to come the right to vote will be restored. Looking at how this election has gone, I must congratulate the Election Commission which has done a great job in conducting these free and fair elections. On the charges by the CPIM that there could be violence, Trivedi maintained that our motto has only been change and no revenge. Violence can only be created by them and we are the victors so why would we create any. Last night their cadres threw bombs on our offices and this is an indicator as to who is causing violence in Bengal. I think the CPIM should accept defeat gracefully and now play the role of a constructive opposition in the state. I look forward for a better Bengal. The police force which is highly politicized needs to change its attitude and maintain peace in the state. Most importantly they should be allowed to do their work with no interference. On the Tata Nano issue, Trivedi said that it was the high handedness of the government which ruined this for Bengal. It was the will of the people and not the TMC. The peoples’ voices should have been heard properly and if this had been done then the embarrassed would have been saved for the entire state. Look at the result in Singur. Our candidate has won the elections and that is a testimony of the voice of the people. After all it was a matter of the will of the people in Bengal. The Congress in Andhra Pradesh may complete its term after all with Jagan Mohan Reddy, making it clear that he would like his party to play the role of an opposition in Andhra Pradesh. Although Jagan at the moment expects to win the bypoll to the Kadapa Lok Sabha seat by a margin of at least 300000 votes, he made it clear that he would at the moment don the role of a constructive opposition party in the state since at the moment there is no opposition in the state. Answering briefly a couple of questions following his victory, Jagan said that he is sure now that there is no opposition in the state. As per the record, the Telegu Desam Party is the opposition in the state, but during the Kadapa bypoll it became clear that this party had joined hands with the Congress in a bid to try and defeat him. When the opposition and the ruling party join hands it is clear that there is no democracy left in Andhra Pradesh. With this being the scenario today, he is left with no choice but to don the role of an opposition leader. 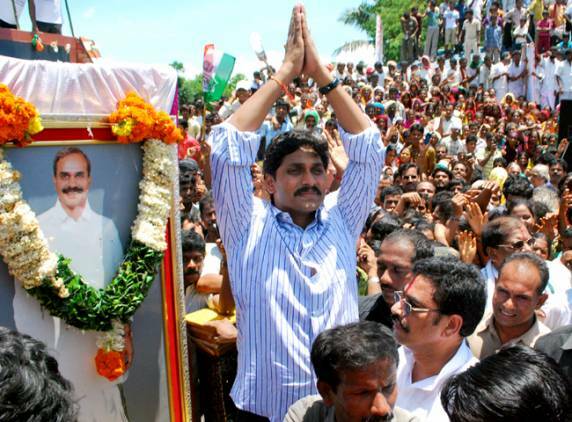 Jagan however did not answer questions specifically to the downfall of the Congress as a result of this verdict. He also refused to comment on whether members of the Congress would join his party in the wake of this thumping win. All I have to say now is that the Congress played dirty and showed disrespect to the policies of my father. Moreover they had the audacity to use the name of my father during the elections. They have claimed the legacy of YSR which is fake and this result is a slap on their face. They will continue to get further slapped by the voter if they continue to play truant with the voters by lying to them. This result will show the people some hope and in the years to come they will elect us in full strength to power. The 56 year old Dawood Ibrahim is the number two man on the world wide list of the most wanted men. India too put out a list and stated very clearly that the man is hiding in Pakistan and is wanted for several offences in India and also other parts of the world. Ever since the name of Dawood Ibrahim who goes by 23 aliases started making the rounds post Osama Bin Laden, there has been an argument of sorts between India and Pakistan over his whereabouts. Pakistan clearly denies that he lives in their country while India argues that he can be no other place but there. The intelligence bureau has now prepared a fresh dossier on Dawood Ibrahim and the same has been handed over to the CIA which is also gunning for the man allegedly. IB sources say that the case of Dawood is not all that simple and Pakistan would do everything under the sun to keep him protected since he is the biggest funder for all terrorist activities and if his empire does go down then it is almost curtains for the funds in Pakistan. Dawood’s exact address as per the Indian dossier is White House, Near Saudi Mosque, Clifton, House No 37, 30th Street, Defence Housing Authority, Karachi, Pakistan. While this address has been mentioned on his dossier, there are various terrorists who have been caught in India and during their interrogation have confirmed the address. They have gone on to tell investigating agencies his house is like a fort and is guarded very heavily by members of the Pakistan army and the ISI. The Indian Intelligence Bureau says that getting their hands on Dawood Ibrahim will not be an easy task since the ISI will take all precautions to move him out of hiding. When the heat was extremely high on him in the year 2006, the ISI moved him to Wazirstan. Today when the Pakistan government itself claims that he is not there, there is every chance that they are buying time to move him out. The IB says that alerts have been sounded against Dawood and the place to keep a watch is Jeddah. He has a safe haven in Jeddah and is capable of moving there, IB sources also add. 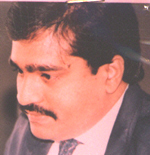 Moreover Dawood is not closely associated only with the ISI, but does have very strong connections in Singapore, Bangkok and also Malaysia. Hence according to the security agencies, it will not be hard for Dawood to find shelter in any of these places. Currently every move of Dawood Ibrahim is being closely monitored by most agencies in the world and as of now, he continues to be in Pakistan and has not budged, although the Pakistan denies his existence on their soil. However Pakistan will do everything to justify their statement and will for sure move him out of their soil for the time being at least. The IB says that there is enough and more proof of his existence in Pakistan at the moment. His passport details H 123259 and G-869537 issued in the year 2001 have been issued by the Rawalpindi passport office. There is no further update on his passport details as per the latest dossier which itself is an indication that he is still in Pakistan. The IB clearly believes that the ISI and the Pakistan establishment will bend over backwards to protect him. He is a utility for them in many ways. He brings in the funds through his drug trade and fake currency racket. He has dedicated routes in Nepal, Bangkok, India, Malaysia, Kenya and also Singapore. These routes are used by the terror groups now to transport arms and ammunition which are later used for terrorist activities. A source in the Indian wing of the Interpol says that catching Dawood Ibrahim alive is the best possible option since the magnitude of the information he would have on him will be truly astonishing. While he can give out details about the subversive activities that he has carried out with the ISI, the more crucial part would be his strong Indian links which are still very much present. His association with some big wigs in the political scene and also the local links through which he carries out match fixing and also extortions will all be very useful for India, the source also pointed out.